Holiday season = baking & hosting season for me. There is nothing I love more than hosting my friends over, especially for Friendsgiving. It's an afternoon where we can all come together, without our kids, talk, eat and laugh. We are all so busy all year long and we really could just go eat out somewhere but honestly, we are just so comfortable at home. Comfort is key for me, when it comes to hosting an event and serving food. 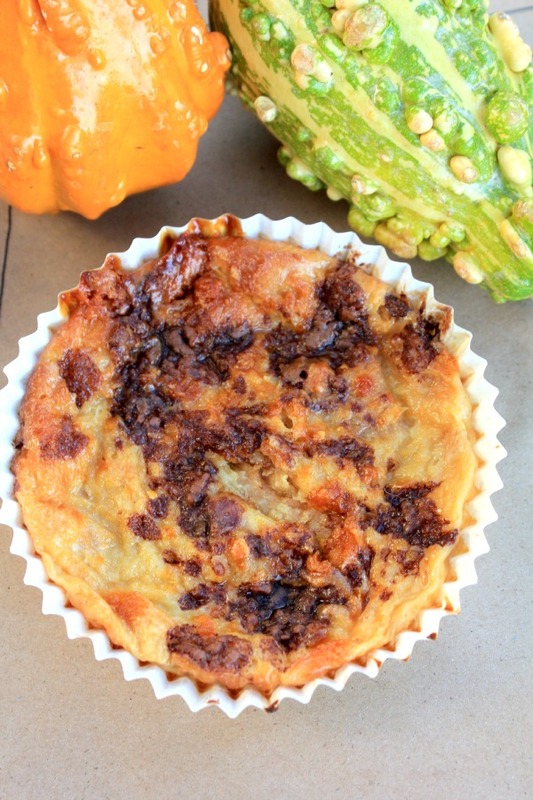 I started testing new recipes and have found a winner for this year's Friendsgiving: BUTTERFINGER® Bread Pudding. I don't serve Thanksgiving-themed foods for our Friendsgiving celebration. 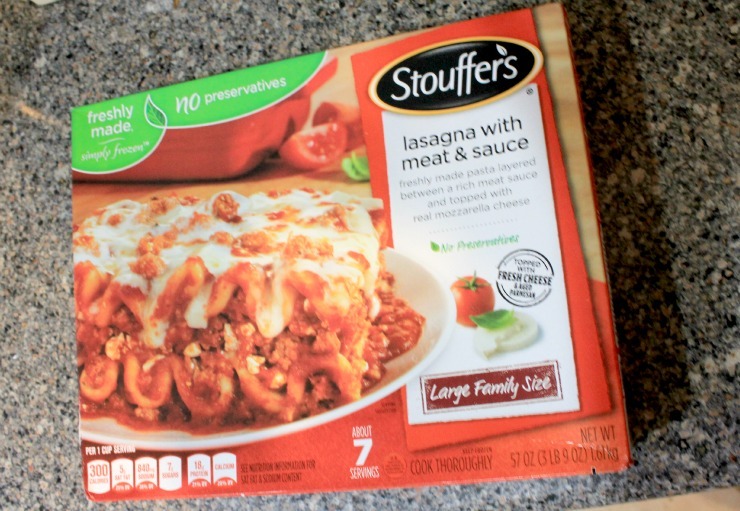 I do like comfort foods though so I will usually serve a chicken dish or a lasagna. This year, we are going to have lasagna but I will not be spending the whole day making one. I have always loved STOUFFER'S® frozen lasagnas and already picked up a Family Size Entree lasagna for Friendsgiving! 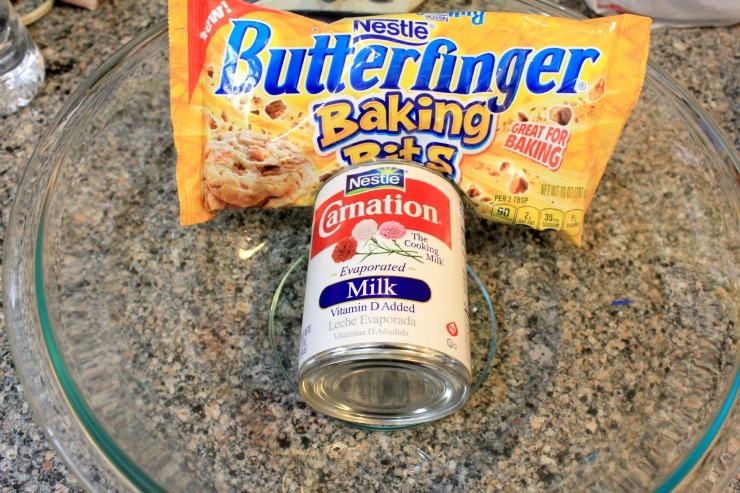 On the other hand, I will be making my BUTTERFINGER® Bread Pudding. 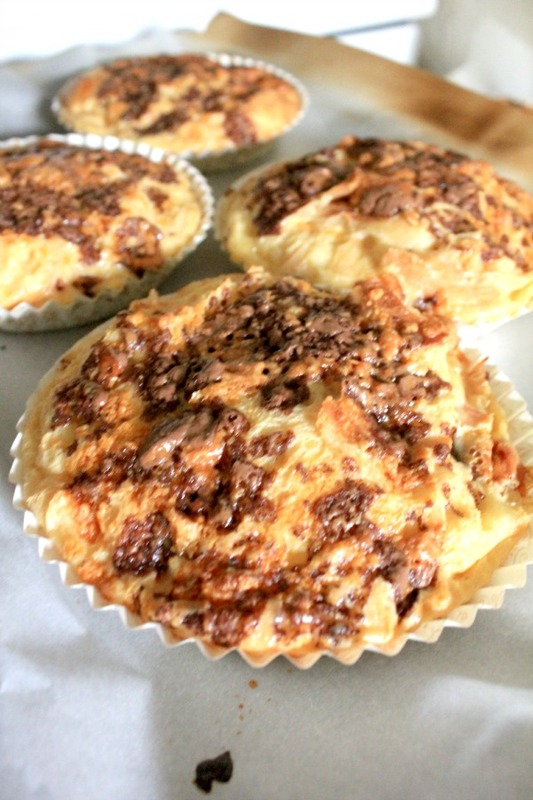 It's simple to make and oh so decadent! I have always made a regular caramel bread pudding but while shopping the other day, I spotted BUTTERFINGER® Baking Bits and knowing how much my friends love BUTTERFINGER® candy, I knew a bread pudding topped with candy bits would be a hit! 1 loaf of bakery bread, broken up in pieces. I found these perfectly-sized individual baking pans in a clearance rack a couple weeks ago and knew they would be perfect for my dessert. 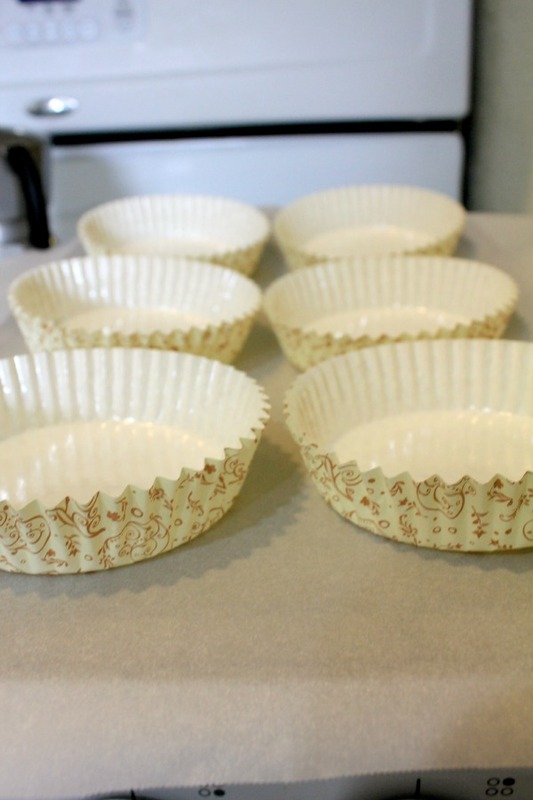 These baking pans need to be placed on a cookie sheet while baking. 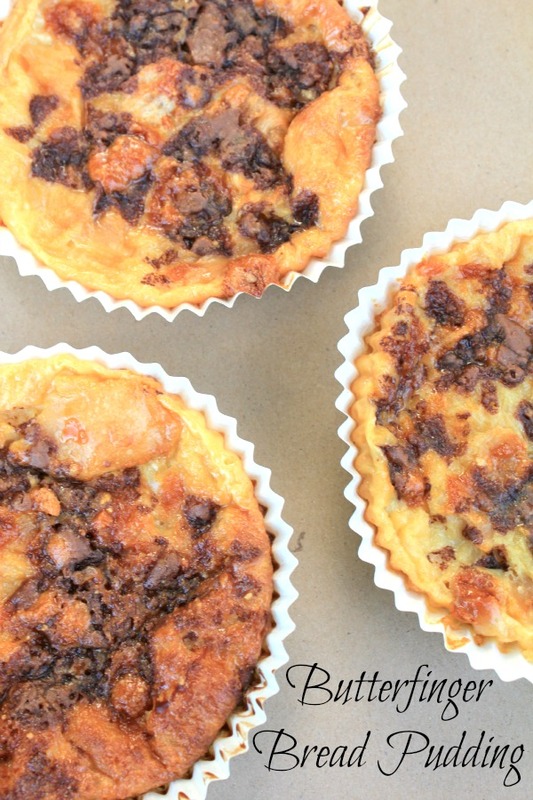 You can also make this bread pudding in a bundt pan. 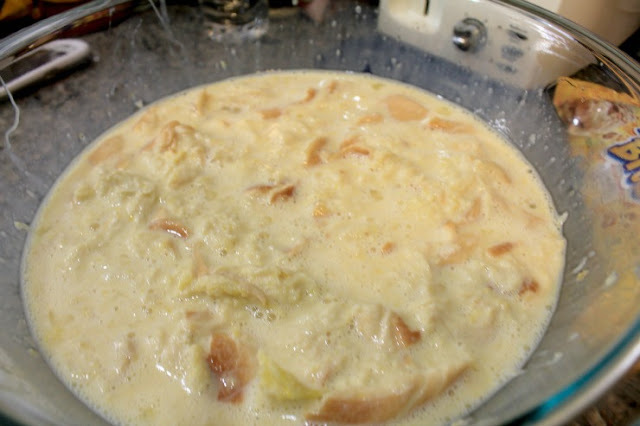 In a large bowl, add bread (cut in cubes or torn pieces). 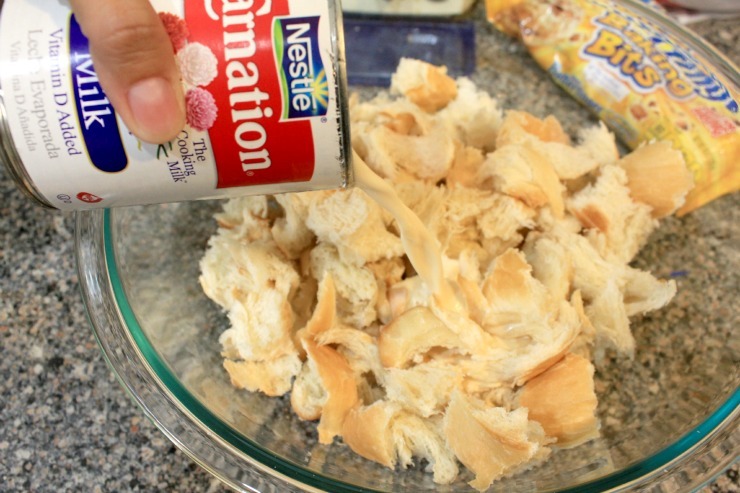 Pour the whole can of CARNATION® Evaporated milk, followed by the whole can of condensed milk and the 1/2 cup of whole milk. Let sit for about 5 minutes. Add eggs, granulated sugar, brown sugar, salt and vanilla. Now stick your hands in it and combine it all together. This is my favorite part!! 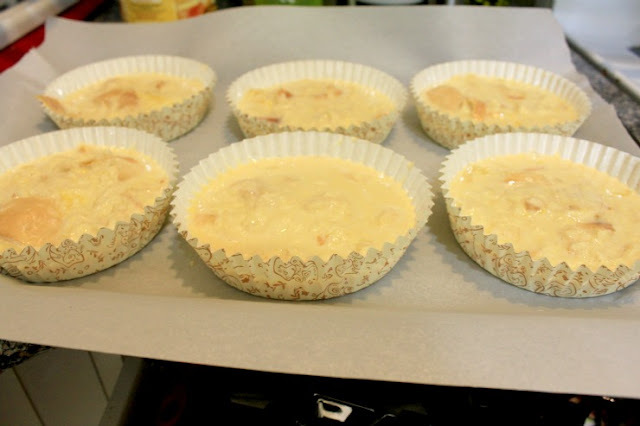 Once all ingredients are combined, use a ladle spoon to spoon one scoop into each individual baking tray. If using a bundt pan, just pour directly into pan. 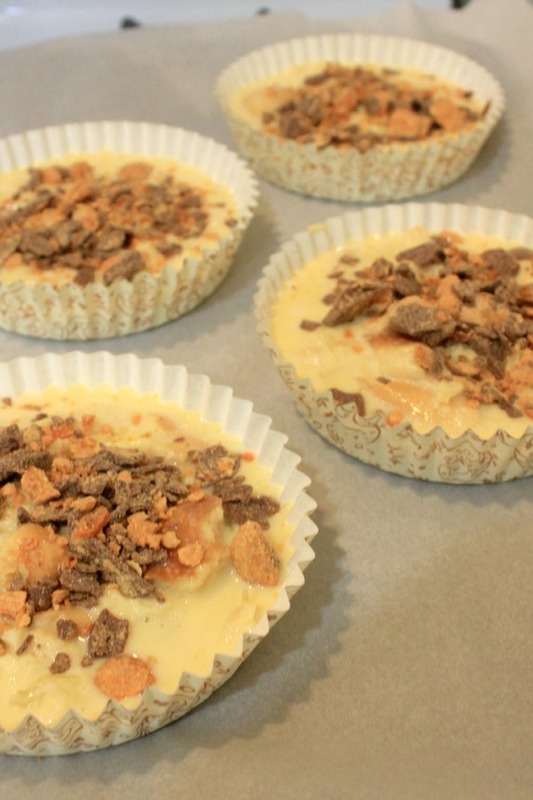 Top each individual tray with the BUTTERFINGER® Baking Bits. You can sprinkle a little or a lot. I was somewhere in between! Bake at 375 degrees for 35 minutes. The bread pudding will be inflated when you pull it out of the oven but will later deflate as it cools! Look at all this amazingness! For parties and events, I prefer to serve desserts in individual portions and set on the table. You can enjoy it before your main course or after. No fancy dinner rules in our home!! 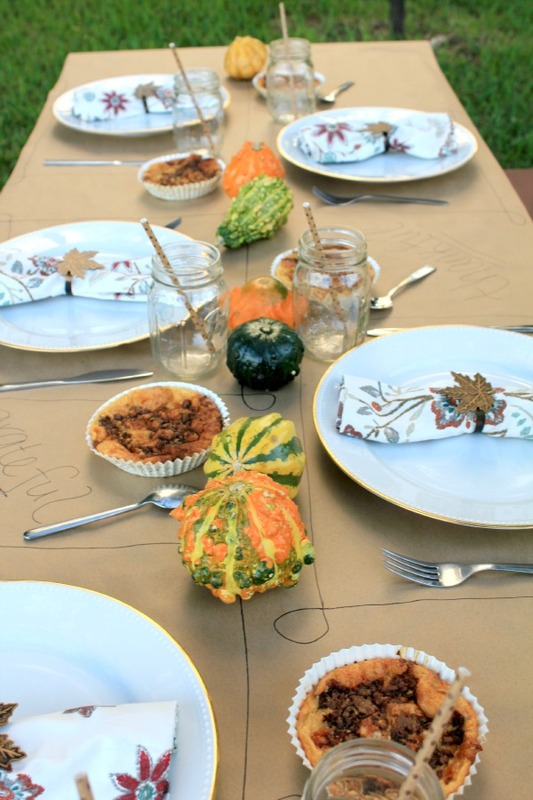 Continuing on the "no fancy dinner rules" topic, I love to host Friendsgiving outside (if it's not raining obviously). 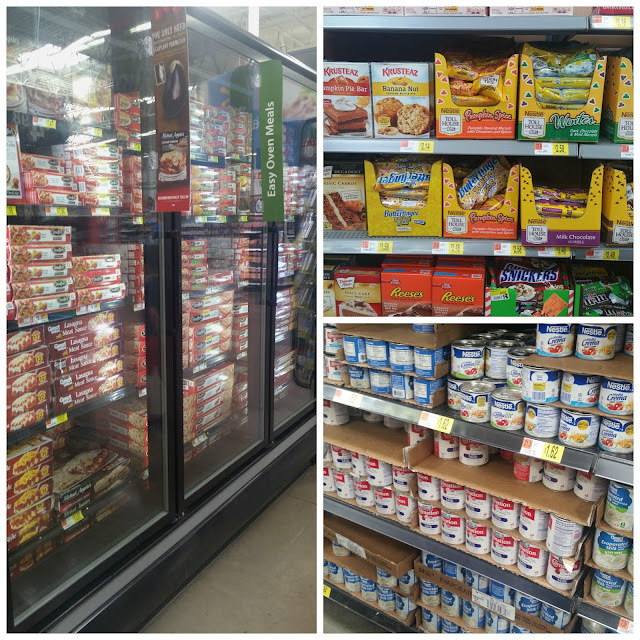 Living in South Florida, we have amazing weather year round and there is really no need to eat indoors. This year, I am setting up a simple & rustic Friendsgivng tablescape at one of the outdoor picnic tables in my complex. I wasn't kidding when I said simple. This is the easiest table you will ever set. First, I used brown butcher paper or you can use brown shipping paper to cover the table. 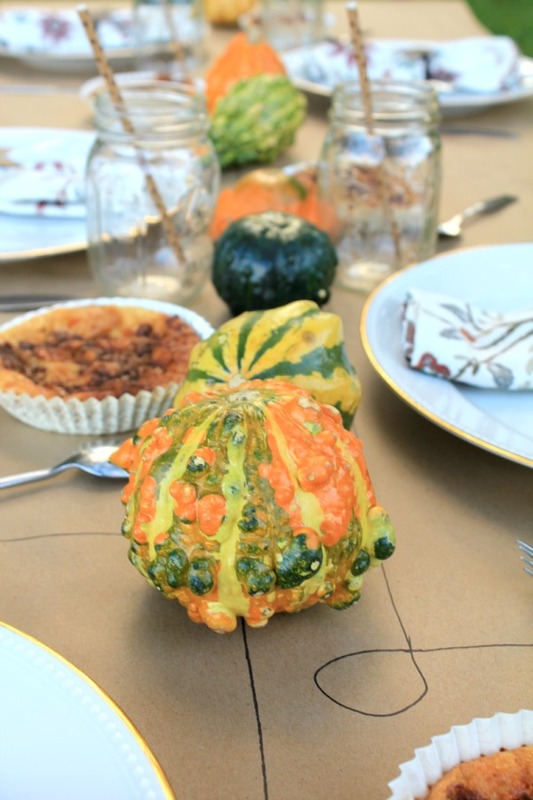 Then I just grabbed some gourds from my Thanksgiving decor and placed them down the middle of the table! 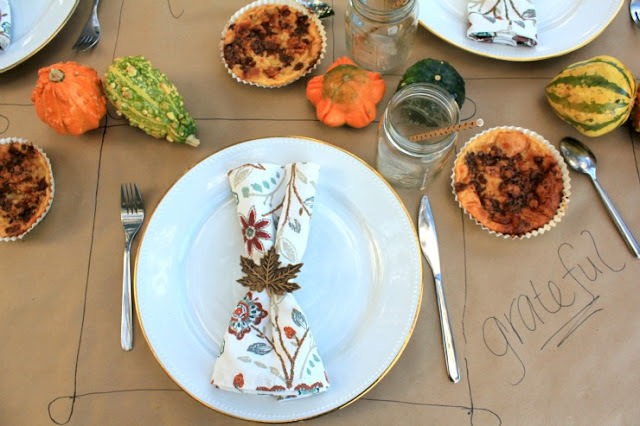 I used a Sharpie marker to design my own place mats right on the brown paper. Really the only fancy thing on this table were my plates that my mother gifted to me. 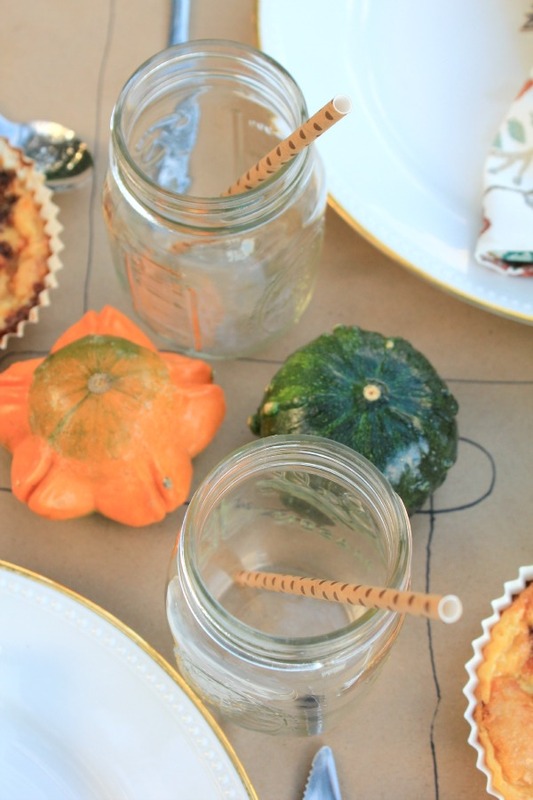 Other than that, it was mismatched utensils, mason jars, paper straws and pretty napkins. 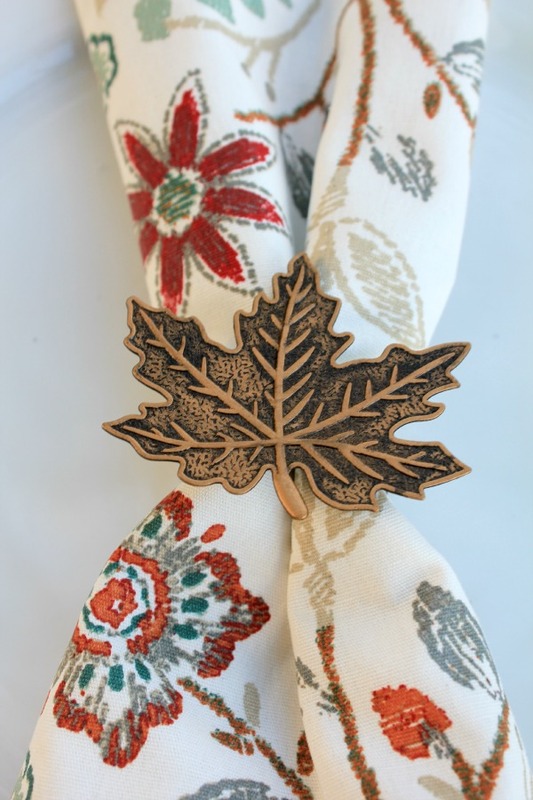 I found these gorgeous leaf napkin holders at Walmart. They were in the Thanksgiving decor section and came in packs of 2. 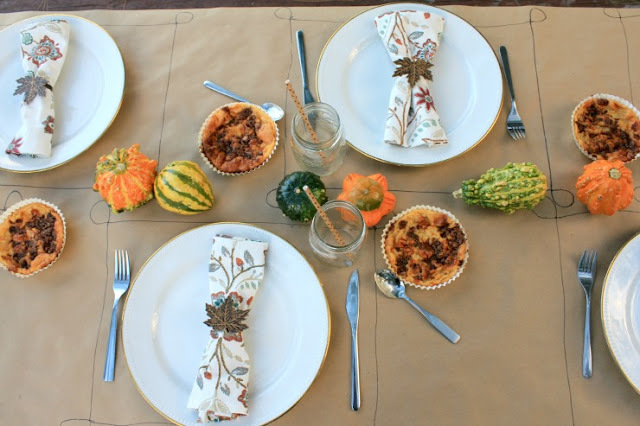 They were perfect for my Friendsgiving celebration! Part of my table decor included my individual bread puddings. I placed a bread pudding and a spoon by each place setting. I also made sure to write festive words all over the table cover!! Honestly, it's really all about simple and fun! 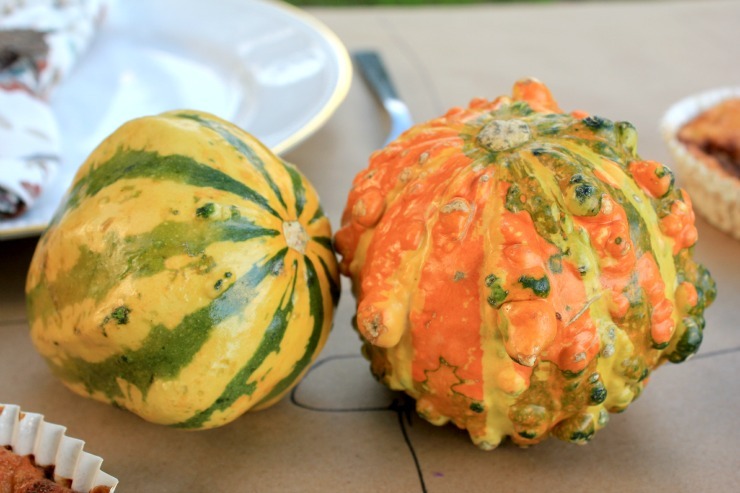 Aren't these gourds beautiful? I love Fall! Ready to host a simple & rustic Friendsgiving with your friends? Make sure to stop by Walmart to purchase everything you will need! Tell me: Have you ever hosted Friendsgiving? 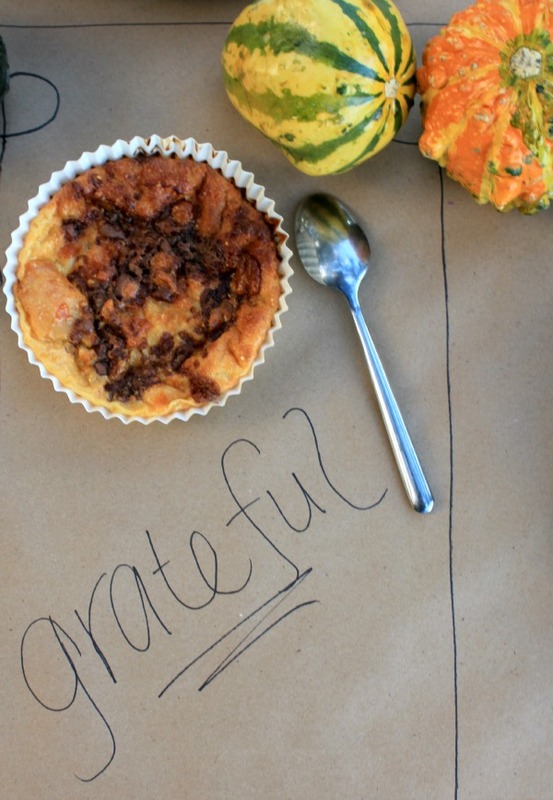 Do you serve non-Thanksgiving themed foods also? This is brilliant! 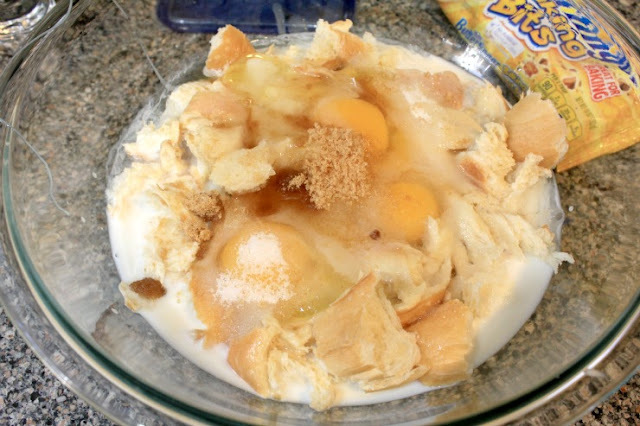 I would think that butterfingers would be so awesome for bread pudding and give it a much needed crunch. 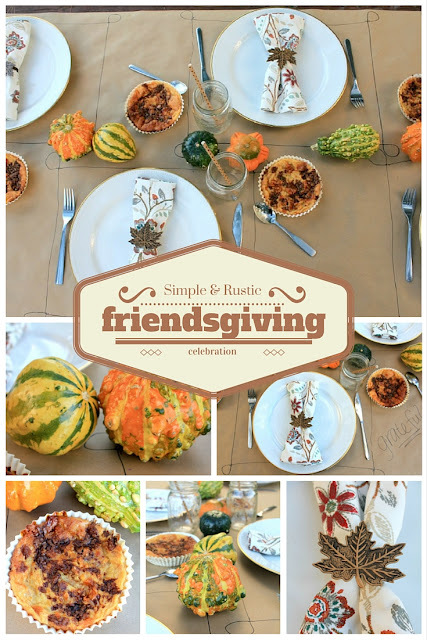 I've attended a Friendsgiving but never hosted one!